The old saying "You can't unbreak an egg" holds true, especially when that egg unleashes an interstellar scourge, the dreaded Alien. But as dangerous and lethal as this species has proven itself time and time again, some men cannot resist the awful gravity of the creatures' potential when merged with human science . . . and arrogance . . . and lust for power. But the cold contracts of these deals with the Devil also bring out the best in humanity, and the awful crucible of struggle against this interstellar cancer brings man closer to his neighbors . . . and to his God. 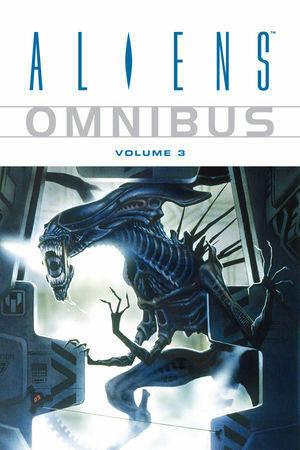 * Aliens Omnibus Volume 3 collects complete story arcs of Rogue by Ian Edginton and Will Simpson, and Labyrinth by Jim Woodring and Kilian Plunkett, and the acclaimed tale "Salvation," written by Dave Gibbons and illustrated by the incomparable Mike Mignola. * Also collects the stories "Advent/Terminus", "Reaper", and "Horror Show".